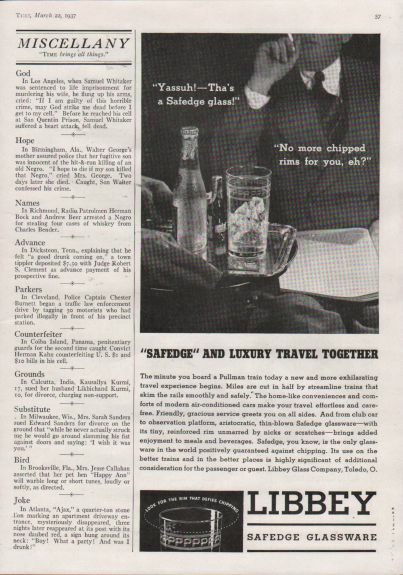 Description Pullman/Libbey Glass Time Magazine Advertisement for Libbey Safedge glassware. "Safedge" and Luxury Travel Together. 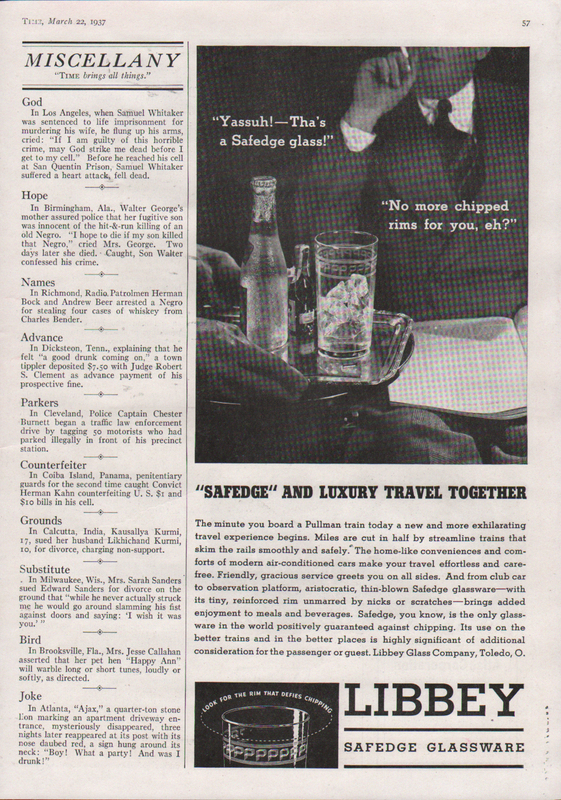 Has a nice picture of the Pullman Attendant bringing a drink to a passenger on a silver tray with a marked Pullman glass. 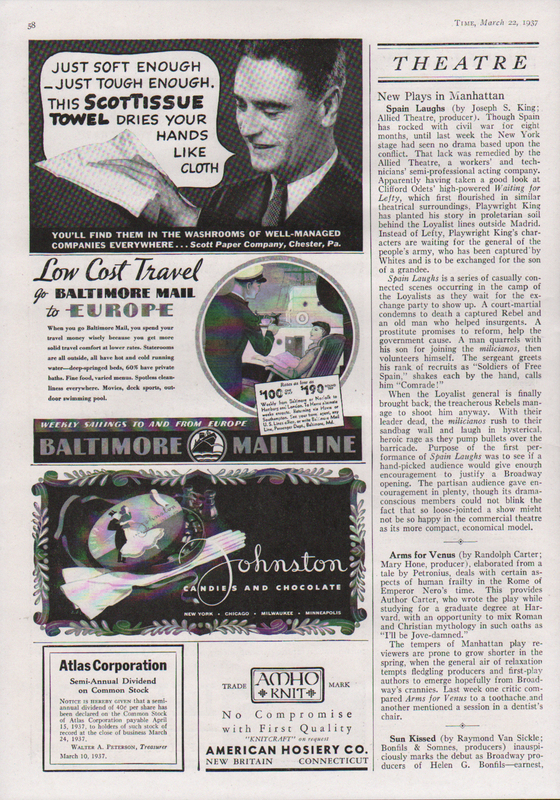 This ad ran in the March 22, 1937 issue of Time.